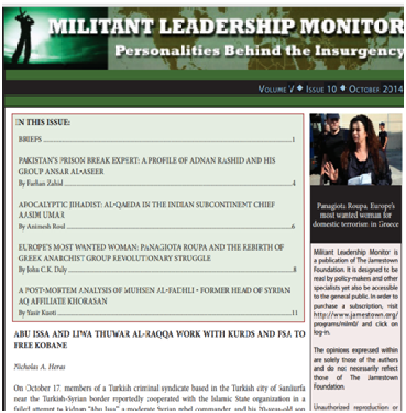 Following years of futile attempts and intermittent incitements to South Asia’s teeming Muslim communities, the transnational terrorist group al-Qaeda finally formalized its operational presence in the region on September 3, 2014, by announcing the formation of a dedicated jihadist wing called Qaedat al-jihad fi Shabhi al-Qaara al-Hindiya (Organization of Qaeda for Jihad in the Indian subcontinent, or more simply, al-Qaeda in the Indian subcontinent – AQIS). AQIS has some specific objectives as laid out in the 56-minute-long message, which include the liberation of the oppressed Muslims of the subcontinent from Kashmir to Myanmar and jihad for the establishment of a caliphate. Ayman al-Zawahiri’s message clearly calls for all Muslims in the region to unite to achieve these goals under the leadership of Aasim Umar, who has been appointed as the amir of AQIS, and Usama Mahmoud, the spokesperson of this newly formed al-Qaeda affiliate. The group has expressed loyalty to Afghan Taliban chief Mullah Muhammad Omar.